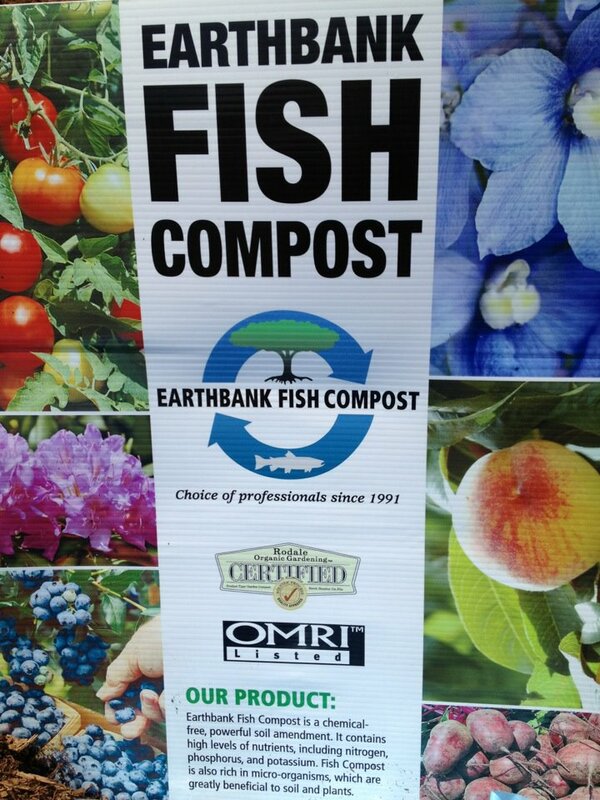 · Earthbank Fish Compost can be used without restriction in all applications. It provides a nutrient rich and biologically active root medium that helps plants suppress disease and thrive. · Fish Compost is a powerful soil amendment including use as a turf/lawn top dressing, mulch, and erosion control media, as it helps retain soil moisture. · Our compost is finely screened, mature and has been composting for a minimum of two years. · Fertilizer is generally not required if Earthbank Fish Compost is used in sufficient quantity. · Fish Compost is very rich ranging from 1.5% to over 2% Nitrogen. · Feedstock used is exclusively fish offal, both wild and farmed, some farmed fish mortalities, and bark from fir and hemlock, ground up land clearing debris, and some sawdust from local sawmills. No other inputs are used. · Concerns about disease in farmed fish are unfounded. The high temperatures of composting (+60 degrees C) destroy all pathogens whether they are from fish, humans, or anything else. Further, fish diseases are harmless to humans. · Antibiotics in farmed fish are low when compared to other farmed products. Further, the composting process breaks down any remaining residue. · Earthbank’s Fish Compost does not contain PCB’s. Heavy metals have consistently tested very low in our compost. · Test results are available upon request.